Do you have the knowledge and skills you need to be able to do your job well? What about your next job....? Do you have the knowledge and skills you need to do your job well? What job would you like to be doing a year from now? And five years from now? Do you have the knowledge and skills you need to do those jobs? How do you know what knowledge and skills you will need? Your skills development is mega important. From things like knowing how to use your new fancy pants electronic filing system for email, to learning the way our kids are being taught how to read and write using phonics. We need to build new knowledge and skills all the time. We need to keep up to date, or we run the risk of getting left behind. Change; its the only constant. This is why I’m all about learning and developing! It doesn’t have to be a formal classroom style environment. 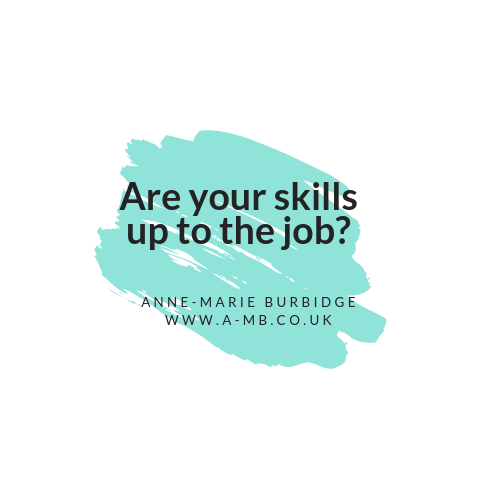 It can be reading, attending an event, talking to someone who has the knowledge or skills you need, working with a Coach, taking part in online networks, forums or twitter hours. Of course it could be sitting in a room with an expert and learning formally what they know, but there are loads of options. It depends on what you need to learn, and how you would prefer to learn it. You need to find the right way for you. That way the learning will stick better. You might be wondering ‘how do I know what knowledge or skills I need to get’? What knowledge and skills do I currently have? Make a list! What am I good at that others struggle with? What three things would make my current job easier? What would someone who is better at my job do differently to me? What do I not know, that would help me? What can I not do, that would help me? What takes me longer than it would take someone else? What does a job advert for my dream job ask for? What are the desirable or essential skills? What would give me more confidence? What would I need under my belt before I take my next career step? Working with a people development specialist will help build your awareness around your current knowledge and skills, and how well they are working for you. They will help you work out what you will need in the future if you are going to continue to be successful (whatever that looks like for you). They will then help you work out the best way to get what you need, so that you are ready for your next job, whatever that may be! You can take a ‘tell me what you think I need’ route, in which case you want advice from a Learning and Development professional. Or you can take a ‘help me work through this’ approach, in which case a Coach would be better. Or you could work with someone like me who does both and can flex to respond to what you need! *goes off to polish her halo*.